Consumer expectations are making their way into the workplace in fascinating ways and the Bring Your Own Device (BYOD) movement is a prevalent example. Fifty-nine percent of organizations already allow employees to use their personal devices for work, and another 13% plan to implement a BYOD policy within the year. 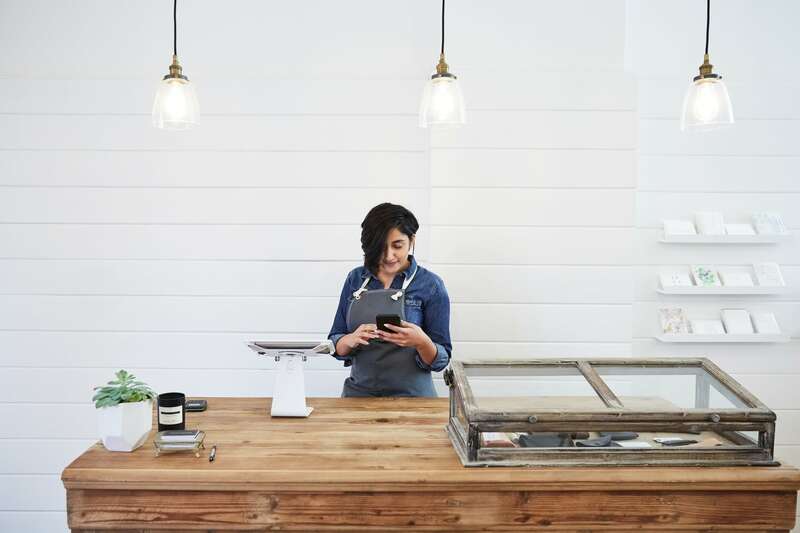 Though many enterprise companies have implemented BYOD into their organizations, how are those with deskless workforces—retail, hospitality, and foodservice—responding to the new demands of technology and how does a BYOD policy help their business succeed? The retail, hospitality, and foodservice industries are enduring a massive shift in workforce composition. With millennials taking over a third of the US workforce and set to make up 75% of the global workforce by 2025, companies are adapting to a massive demographic shift. Digitally native millennials and Gen Z have non-traditional preferences when it comes to communicating, learning, collaborating, and getting things done. By equipping current and future generations with the right tools they need to gain access to information, frontline staff are able to deliver a better customer experience, which improves brand profitability and the overall employee experience. Let’s face it, employees are already using their mobile devices at work, whether it’s on break or on the job. It’s happening anyway, so let’s shift the thinking to the opportunities for productivity and output. A study from the Pew Research Center found that 77% of employees use their phones at work regardless of employer policies. Also, 20% of staff use social media to get information that helps them solve work-related problems. Having a BYOD policy helps businesses align with behaviors to engage, educate, and communicate with frontline staff while staying compliant with labor laws and regulations. Without knowing or understanding company policy, employees are faced with ambiguity and a sense of sneaking around when using personal devices at work. These behaviors can cause trust issues between managers and associates creating a negative environment for both employees and customers. Having a clear BYOD policy that is accessible to all frontline staff, creates a culture of trust, transparency, and a clear understanding between managers and staff on mobile use in the workplace. This one’s easy. Workplace technology is associated with rising expenditures, but BYOD actually helps save money on hardware and support. Allowing employees to use their own devices, decreases the cost of buying and replacing technology for frontline staff. When you consider the multitude of research linking BYOD policies with increased employee satisfaction, you can also factor in cost savings associated with retaining talent. Unemployment is low and there’s heated competition for talent. In this job market, companies are having to adapt their workplace cultures to attract and retain top talent. With millennials and Gen Z soon to occupy the majority of the workforce, and 93% of millennials stating that technology is key when choosing a future workplace, it’s crucial that employers invest in technology to deliver an exceptional employee experience. BYOD helps to keep staff technology costs low, while also creating an adaptable work environment for shifting employee expectations. Associates are already using public-facing apps, such as WhatsApp and Facebook, for various workplace activities, such as organizing shift changes, asking work-related questions, and creating personal connections with their peers. These conversations are important for smooth day to day operations and the employer has an opportunity to formalize the framework with a BYOD policy. Conversely, unregulated usage of public-facing apps for work-related tasks can open up the risk of security breaches. A BYOD policy helps companies build a compliant, regulated and well-managed mobile program, reducing the risk of security breaches. The average BYOD user saves 58 minutes a day by using their personal devices at work, which gives them more time to learn, grow, and execute a great customer experience. Having access to product and promotional information in real-time as well as digital schedules and training programs, helps frontline associates be more productive, engaged, and committed to customer satisfaction. Though 83% of shoppers think they know more about products than frontline associates, 79% still think that associates are a key part of a good customer experience. Allowing frontline associates to use personal devices for work-related tasks, influences their behaviors towards business goals, resulting in higher customer satisfaction and ultimately increased sales. BYOD policies empower frontline associates to perform better, which in turn creates better employee and customer experiences. Engaged employees are more motivated, productive, and committed to the brands they work for. Having a good BYOD policy in your organization increases employee engagement by building trust and breaking down communication barriers. It also helps brands to effectively create an employee experience that engages frontline staff to, in turn, deliver a better customer experience. With the number of smartphone users estimated at 2.5 billion worldwide by next year, mobile technology will continue to transform the workplace. Getting ahead and implementing a BYOD policy not only helps to recruit and retain top talent but also positively impacts operating expenses and the employee experience. BYOD isn’t the future of workplace technology, it’s the current reality and it’s important now more than ever to bring it to the frontline.